Today Fitbit has finally decided to update its Charge fitness tracker line, after nearly two years since the original models were outed. 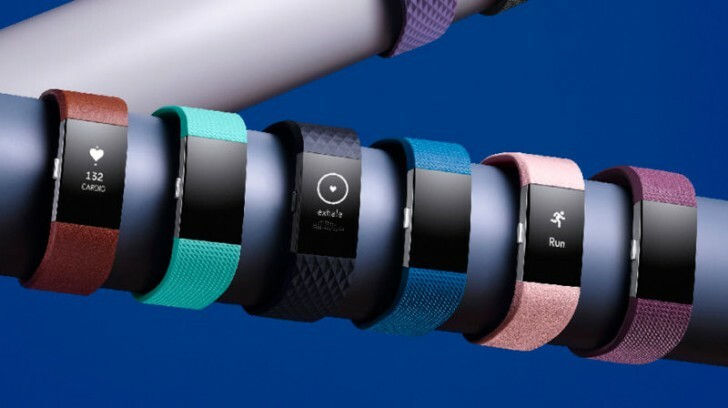 The new Fitbit Charge 2 comes with a built-in heart rate monitor (so the more expensive HR option is gone this time), as well as something the company calls 'connected GPS'. This means that when the wearable is connected to your phone, it will be able to use that device's location information to record a map of your route and give you real-time stats like pace and distance. Like Apple, Fitbit now seems to be a fan of breathing exercises, since it's providing some in the new Charge 2. The wearable tracks multiple sports such as running, biking, and weightlifting, and it automatically recognizes the activities you're performing. It gives you reminders to move, automatically tracks your sleep (with silent alarm functionality), and it still works with computers as well as Android and iOS devices. Its display is four times bigger than the original Charge's. Bands are interchangeable, battery life is up to five days, and smartphone notifications are displayed on the screen. The Charge 2 is "sweat, rain, and splash proof", yet it's not "swim proof or shower proof", according to its maker. The Fitbit Charge 2 will be out in mid-September for $149.95, £129.95, or €159.95, and it's currently up for pre-order here. The Flex 2 tracker doesn't have a heart rate monitor, but it is very small and can fit in band, bangle, and pendant accessories. It has no screen of its own, but has five LED lights. It's swim proof and actually tracks your swims too, alongside steps, distance, calories burned, active minutes, hourly activity, and stationary time. It also has sleep tracking and silent alarm functionality and reminders to move. 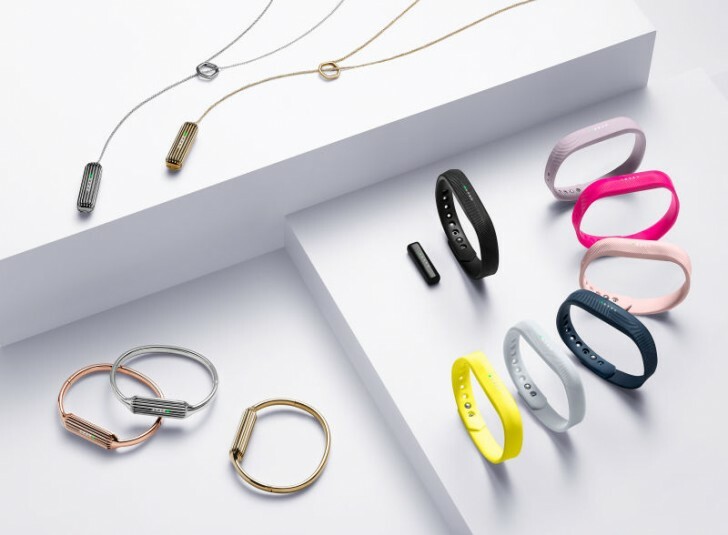 It will be out in October for $99.95, £79.95, or €99.95, and it too is already on pre-order direct from Fitbit.